Shocker: “Game of Thrones” Season 7 will depict a battle for power between Cersei, Daenerys and Jon Snow — if the new promo is any indication. The three rulers are the last remaining in a long, bloody war that has taken out most of their competition and set the stage for Houses Stark, Targaryen and Lannister to battle it out once and for all for control over all of Westeros. The new promo released for the penultimate season of the HBO fantasy series sees Cersei (Lena Heady), Daenerys (Emilia Clarke) and Jon (Kit Harington) each taking a long, proud walk towards a throne. Of course, only Cersei is sitting in the actual Iron Throne right now, having blown up King’s Landing just to keep the crown for herself last season. But not so fast. An even more dangerous threat looms on the horizon as Cersei is seen breathing out a cold burst of air and the promo ends on a close-up of a White Walker. Oh, right. There’s a supernatural threat that needs to be taken care of before anyone can think about ruling Westeros. And if you’re wondering what the catchy theme song playing over the new trailer is — that would be the 1989 indie hit “Sit Down” by James. We’re not sure what the connection is between the British band from Manchester and the royal showdown in King’s Landing, but we love it. Watch the new teaser above. 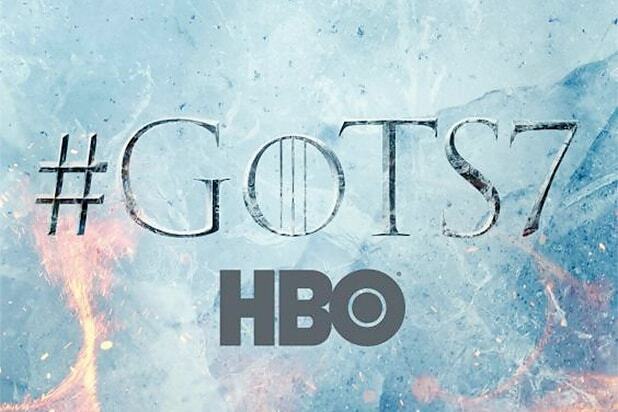 “Game of Thrones” will return on Sunday, July 16.